Read the SVU Fall 2013 Newsletter with news including the exhibit Leaving Czechoslovakia hosted by SVU and Sokol this summer, Maestro Hrusa returns to Cleveland in the fall of 2013, and the annual Czech and Slovak Cultural Garden clean-up and picnic scheduled for Sunday, October 13. Czech conductor Jakub Hrusa will return to Cleveland for three performances this Fall conducting the Cleveland Orchestra. Performance dates are October 17, 18 and 19, 2013. The Cleveland SVU Chapter arranged for discount ticket pricing. Use code 16133 to obtain 20% discount for any of the three performances. Visit www.clevelandorchestra.com or call 216.231.1111 for performance and ticket information. We welcome Maestro Hrusa back to Cleveland! The Cleveland SVU Chapter and Sokol Cleveland will host the traveling exhibit “Leaving Czechoslovakia” at the Bohemian National Hall. The exhibit is based on the oral history project sponsored by the National Czech and Slovak Museum and Library in Cedar Rapids, Iowa. On Sunday, July 28th, Rosie Johnston – who conduct the interviews – will give a presentation about the project. The presentation will be preceded by dinner hosted by the Sokols from 1-2:30pm. Dinner reservations are required and can be made by calling 216.447.0264. See sokolgreatercleveland.org for more info. On Friday evening, July 5th, the Cleveland Orchestra opens its season at Blossom Music Center with music by STRAUSS – Four Last Songs – and SHOSTAKOVICH – Symphony No. 8. The performance features Slovak soprano Luba Orgonášová in her Cleveland debut. 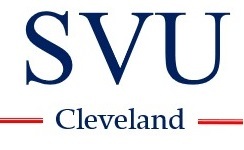 You are invited to use the promotional ticket pricing offered to SVU by The Cleveland Orchestra. Use code 15297 when ordering tickets online or by phone to receive 20% discount on pavilion or lawn seating. Tickets can be ordered by calling 216-231-1111 or online at clevelandorchestra.com. SVU members and friends will meet beforehand at 6:30pm in the Woods Picnic Area, the grove just before the pedestrian bridge to the main gate at Blossom. Look for our blue SVU banner. Bring your own picnic and come join us!